Anyone who wants to participate! No affiliation with Princeton University is necessary. Families and children of all ages are welcome. An annual 5K run/walk and charity fundraiser from which all funds raised are given directly to the Trenton Area Soup Kitchen (TASK). Our course is USATF-certified (course # NJ13556JHP) and professionally timed by Tri-State Timing. Free refreshments (water, bagels, and fruit) will be provided at the race. September 15th, 2018. The race begins at 10:00 AM. Walk-up registration begins at 8:30 AM and closes at 9:45 AM. 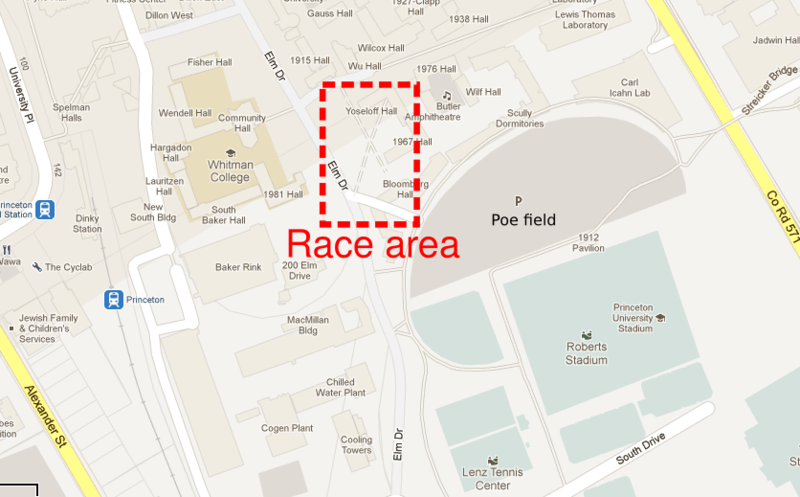 The race will be held on the campus of Princeton University. 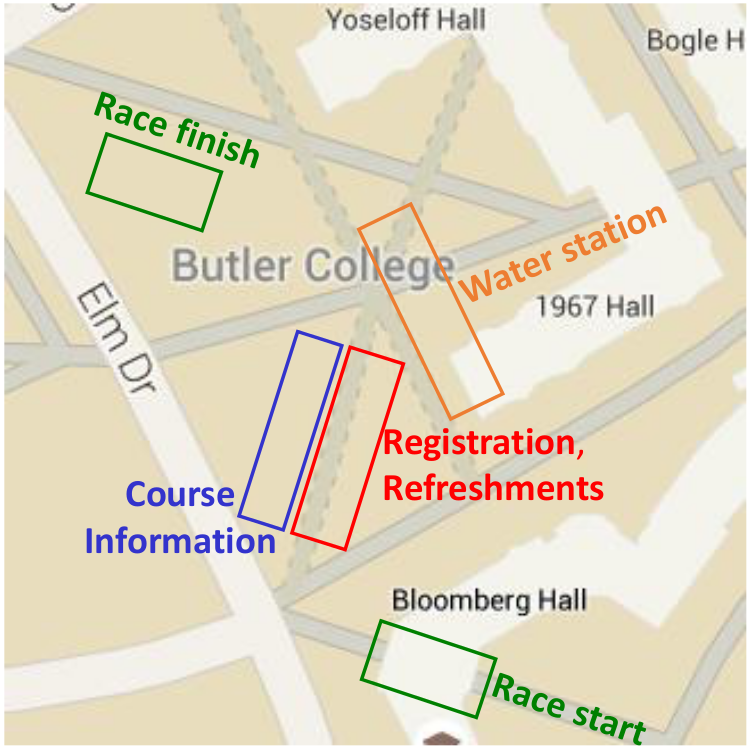 Registration tables and the rest of the race area will be located on the lawn between Yoseloff Hall and Elm Drive. For more information, please refer to the race area location map and to the race area detail map. The primary goal of the 5K is to raise money and food for TASK. The 5K is also a great way to get exercise in a fun and friendly setting. You may also be interested in the top finisher prizes and team prizes. The registration fee is $10 per participant and will go directly to TASK. Children 12 and younger can participate for free. Pre-register online (preferred), or register in person on the morning of the race beginning at 8:30 AM. Be sure to show up at least a half hour early even if you have pre-registered online. It takes time to hand out timing chips and runner numbers, and you'll probably want a few minutes to stretch and warm up before the start. Walk-up registration will close promptly at 9:45 AM, and pre-registration check-in will close at 9:50 AM.